Here they are! 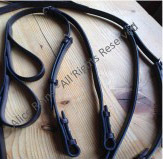 Our New Alice Reins Double Reins! It all started like this…. Last year in November I had an accident, stupid really, I slipped getting out of my truck put my hand out to grab the fence and missed. Resulting in a snapped left thumb and ulna collateral ligament. I was operated on the following day and had mitek bone anchors screwed in. I spent 13 weeks in a cast and have it fused in a ‘ wine glass ‘ position. Which unfortunately leaves me with very little grip. I have a Bauerfeind splint to wear to protect it. I was given the go ahead by my orthopaedic surgeon to ride, because I nagged him! But yesterday I took my youngster up the mountain and discovered quickly that I couldn’t stop as I had no grip, how stupid was I! Anyway my husband was reading the BD forum and discovered your company so by having a loop I can pull with my fingers. So hopefully you will be able to help me, I next need to apply to BD to be able to use them. Well it’s been a month or so ago since I purchased the Alice Reins and thought now was a good time to report back. You may remember we chatted about my injury (snapped thumb and Ulna Collateral Ligament) that required surgery to fuse with mitek bone anchors leaving my thumb in a ‘wine glass’ position with no grip. 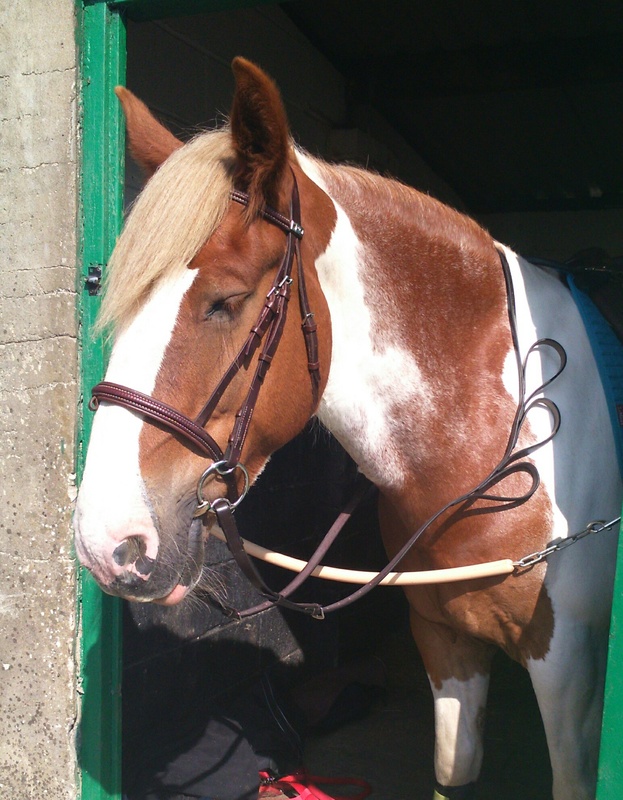 Well I can honestly say what a marvellous set of reins! They are lovely quality and I like the fact you can personalise them. Just the correct length and fully adjustable. This morning I took my youngster Red pictured below for a long hack with several other horses, exciting times! I must admit I was a little concerned when they cantered I would have little control, I needn’t of worried … I had full control it was easy to switch to the shorter loop and managed to keep an even contact, even being brave enough to pop a small log! So thank you Jacqui for all your help. My outhopedic surgeon Mr Rogers has written an email for British Dressage for a dispensation which is being sorted so I will be out competing again soon. 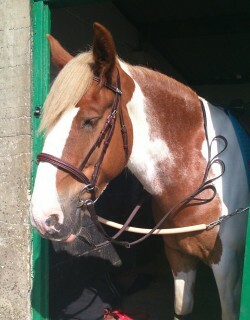 Please would you make me a set so I can use his double bridle for when we compete BD elementary and coloured classes ??? Can this be done ?